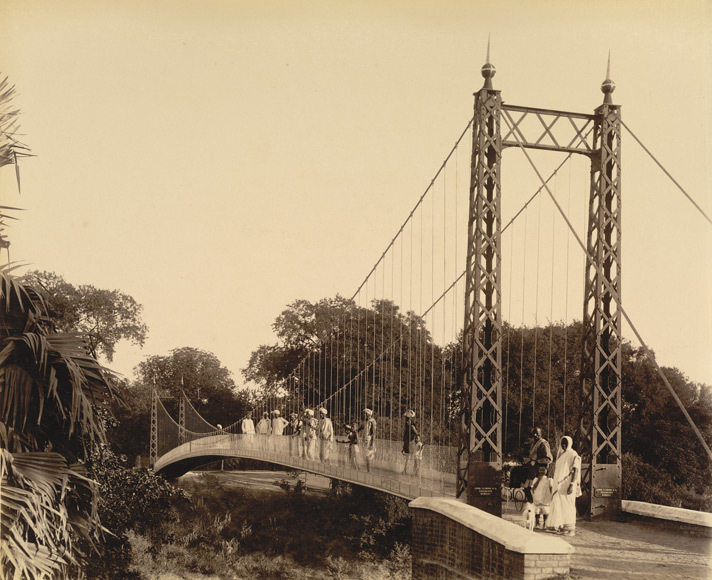 The old bridge that connects the Sayaji Baug and the Kirti Mandir was built in 16th century. The bridge is made of stones, which is of 2 type floor, built with arches. Vishwamitri river flows under the bridge. 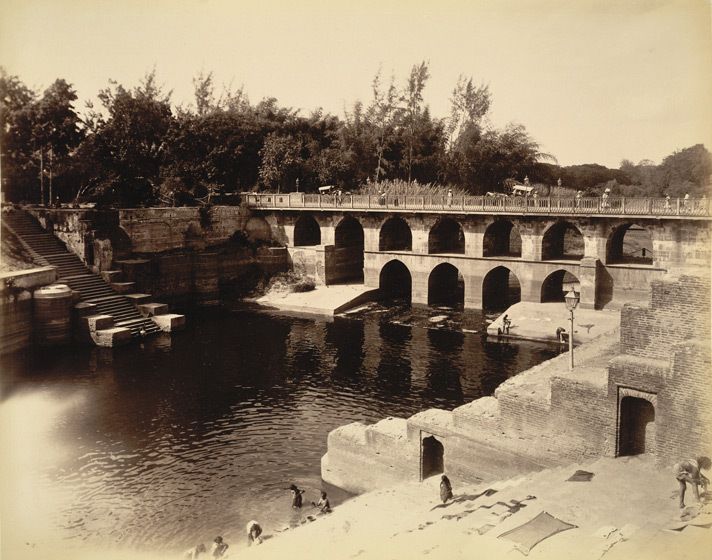 The bridge was first made during 1500’s, by Muzafar II, was then re-cast by Mughals and then was again re-cast with stones during the Gaekwad times in early 1800’s (seen in above photo). This bridge also had/have ghats on both the sides. In early days, people used to bath & wash their clothes here. The steps can also be seen now, but most of the part has been destroyed. The bridge is also known as Kala Ghoda Bridge, as of Statue of Maharaja on a Horse is placed near Public Park.